The final of the inaugural Aik Awam Unity Cup 2018 will be played between the National Fighters FC and Gizri Star FC at Karachi’s Gizri Football Stadium on Sunday. National Fighters hammered Al Wajid FC while Gizri Star FC defeated Young Baloch FC in a scintillating match. 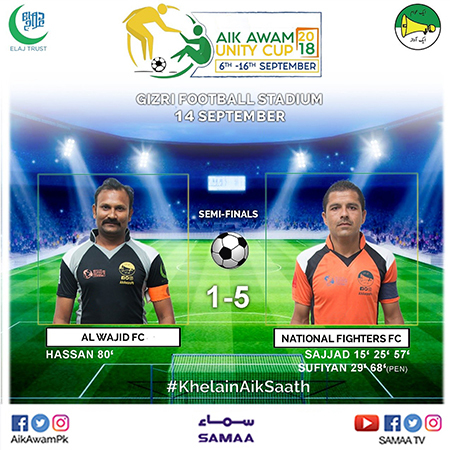 National Fighters trounced Al Wajid 5-1 in a one-sided affair. The match was seemingly decided in the first half as three goals were scored for the Fighters. Sajjad scored in the 15th and 25th of the game. Sufiyan made it 3-0 for his side in the 29th minute. Sajjad completed his hat-trick in the 57th minute. The situation got worse for Al Wajid as they conceded a penalty kick in the 68th minute which was converted into a goal by Sufiyan, making it 5-0. Al Wajid FC managed to make it 5-1 as Hassan scored the goal in the 80th minute. 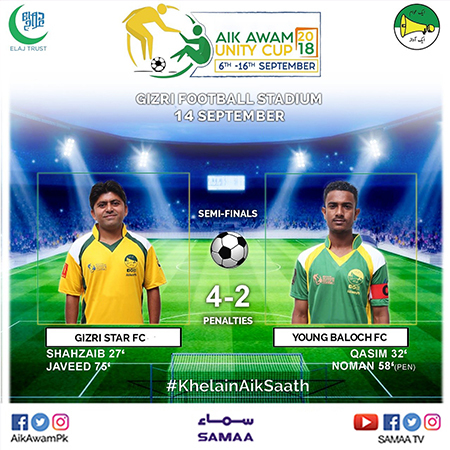 The second semifinal between Gizri Star FC and Young Baloch FC was decided on penalty shootouts. Gizri Star FC went ahead in the 27th minute as Shahzaib scored on a free kick. Qasim made it 1-1 for Young Baloch FC as he also converted a free kick into a goal. The Baloch side took the lead in the 58th minute as Noman scored a perfect penalty shot. Javeed leveled the scoreline in the 75th minute. 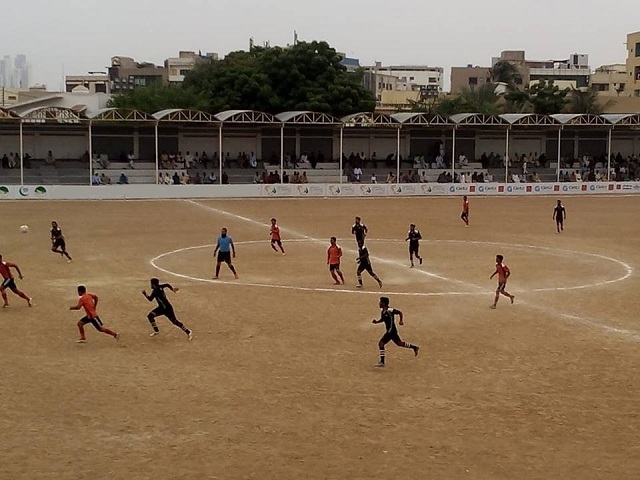 It was the Baloch side who managed to win the game 4-2 on penalties. The final between Gizri Star FC and National Fighters FC will be played on Sunday at 7pm.